I was honored tonight to have been asked by the health care policy lobbyist Keven Kuhlman for NFIB to help prepare a last minute lobbying campaign to appeal for tax relief to the harsh 2015 small business penalties under IRC 4980D. I prepared six letters for Pennsylvania and New Jersey lawmakers. Kuhlman has a morning meeting with Senator Menendez. Until a few hours ago, I assumed all relief efforts had been defeated. Kuhlman admits that legislative relief is a long shot but they are making their best effort. I write today to request your support for relief from problematic Internal Revenue Service (IRS) guidance that punishes small businesses for trying to help employees afford health insurance and healthcare services. This guidance prohibits small businesses from assisting with employees’ individual market health insurance. Prior to implementation of the Affordable Care Act (ACA), Health Reimbursement Arrangements (HRAs) were the most efficient way for an employer to provide payments for routine health care to employees. While insurance was and still remains as the best way to cover catastrophic and unexpected medical expenses, insurance is inherently expensive and inefficient method of paying for ordinary, routine and expected medical costs. Direct reimbursement methods, especially on a tax-free basis, had obvious advantages for these types of expenses. HRAs were among the most popular methods of providing this type of benefit. All of that changed with the implementation of ACA rules in 2014. Tough new tax regulations built into ACA are designed to ensure that employers provide employees with employer-sponsored health insurance before getting involved in any tax-favored reimbursements. In the aftermath of these new regulations, the use of traditional HRAs is greatly reduced and some suggest these plans are all but worthless. Many of the remaining small business HRA plans are simply not in legal compliance with current tax law and the employers may still be unaware that they face stiff excise tax fines under IRS code section 4980D for continuing to reimburse medical expenses without integrating the HRA with employer-sponsored group medical insurance. To be clear, HRAs are still allowed under current law and they provide the same tax benefits as before ACA implementation. The difference is only in the strict insurance prerequisite to providing HRA benefits. My anecdotal observation is that most small business HRAs are not in compliance with current law. The reality is that few small businesses have the desire to provide the required (expensive) employer-sponsored group health insurance and then pay additional amounts to those same employees for reimbursement of medical expenses not paid by insurance. Small businesses could have made drastic mid-year changes in order to remain in compliance. It appears that a small business employer that modified its health reimbursement plan before June 30, 2015 to provide excepted benefits and then made appropriate adjustments to prior period payroll taxes would escape the potentially huge penalties threatened under Code section 4980D. Otherwise, it appears that additional taxes, possibly retroactive to January 1, 2014, would be unavoidable. There is still some professional uncertainty about this topic and we do not know how IRS will approach enforcement in the absence of an understanding by tax professionals. 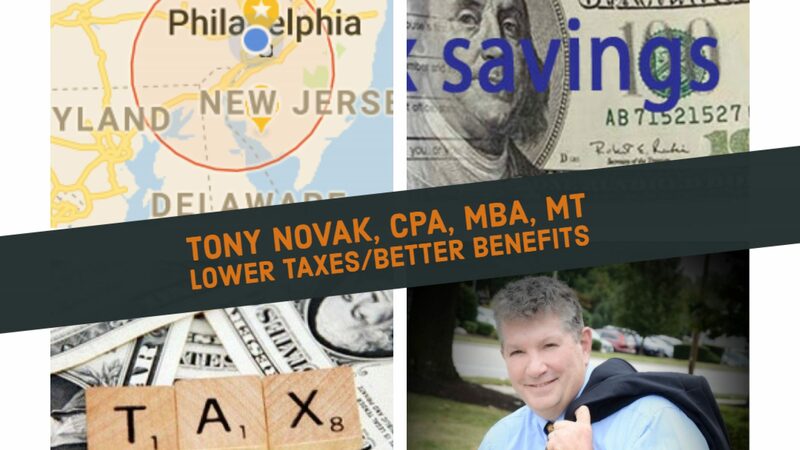 I recently wrote an article for tax professionals to be published in the January 2016 edition of NJ CPA magazine on this topic. In my research for the article I learned that few accountants are familiar with the severe tax penalties under 4980D and even fewer business owners know about it. It is possible that more than 100,000 small businesses nationally would be subject to the penalty for 2015. The penalties are tens of thousands of dollars on small unsuspecting business owners who were only voluntarily trying to help their employees with the high cost of health care. S. 1697, the Small Business Healthcare Relief Act, would provide vital relief for small businesses and help employees purchase health insurance that best fits their needs. I encourage you to cosponsor the bill, and push for inclusion in one of the must-pass pieces of legislation before the end of the year. If this uncertainty slips into next year, the tax filing season will be problematic for many small businesses.